Slowpokes is on track to grow quickly. 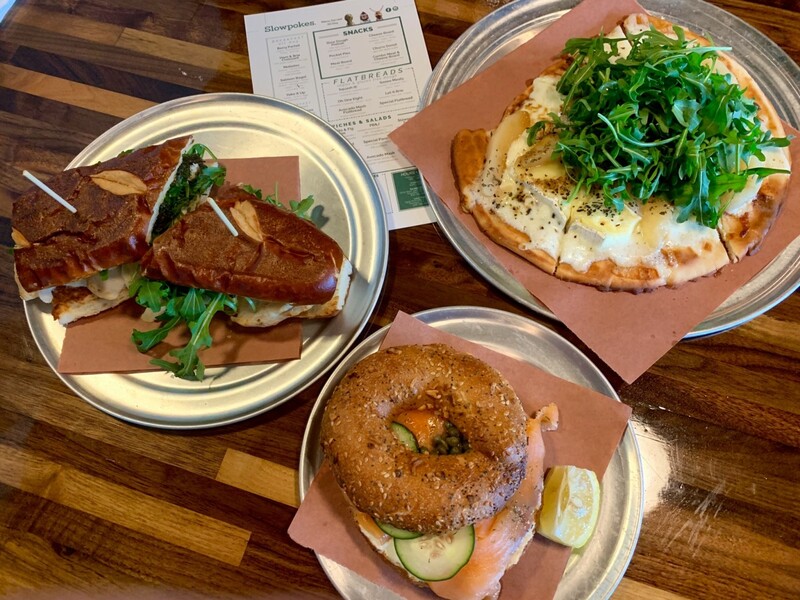 The Garden Oaks cafe just opened its second location in the Kirby Grove building adjacent to Levy Park and has plans to add a third outpost in Braun Enterprises’ Spring Branch Village shopping center. 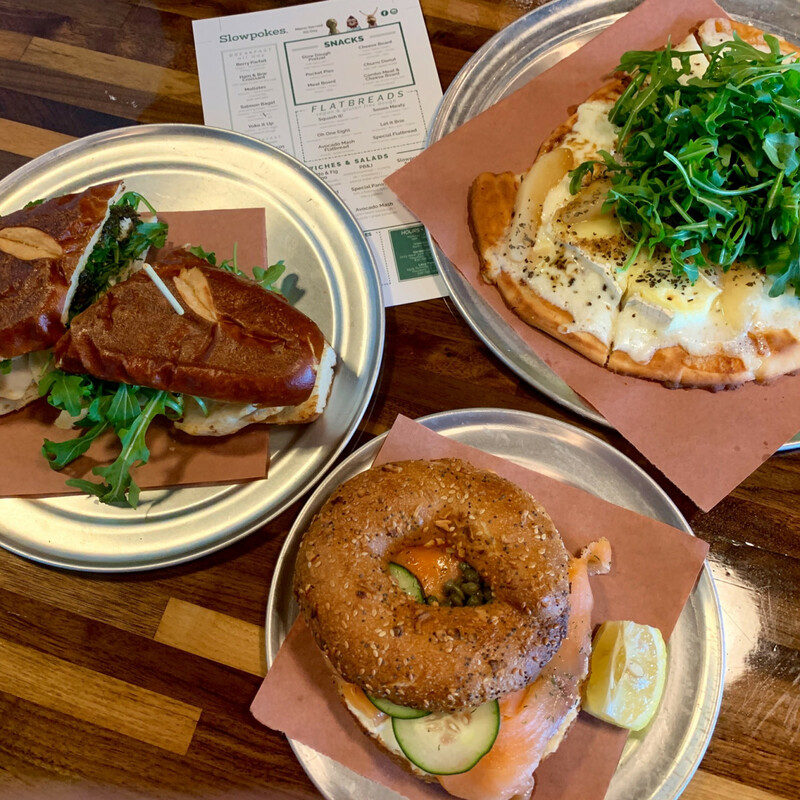 Founded by Mazen Baltagi (Christian’s Tailgate, Chapman & Kirby) and Juan Carlos (J.C.) Rubiralta (Levure Bakery), Slowpokes has been a hit in Garden Oaks thanks to its combination of coffee, beer, and wine that are paired with a diverse food menu built around sandwiches, flatbread pizzas, and breakfast items. At the cafe, those three components are represented by three mascots: a turtle named Mash (beer), a snail named Tasker Alexander (wine), and a sloth named Patches (coffee). Baltagi has been a partner in a wide range of bars and nightclubs through his career, but he sees Slowpokes as the key to his future. He sees the concept as one that can grow across the city. The new Kirby Grove location points in the direction Slowpokes wants to go in the future. Office workers in the building above should ensure steady business for breakfast and lunch, while Levy Park visitors should help with evening and weekend traffic. The bar serves wine by the glass or bottle with 10 taps of local craft beer and more in cans. To meet the expected demand, the cafe will offer an expanded food menu. Staples like the chicken pesto panino and brie and pear flatbread (known as the Let it Be) will see additions like a pimento cheese sandwich and chicken salad. Even better, park visitors will be able to pick up cans of beer or bottles of wine to-go. 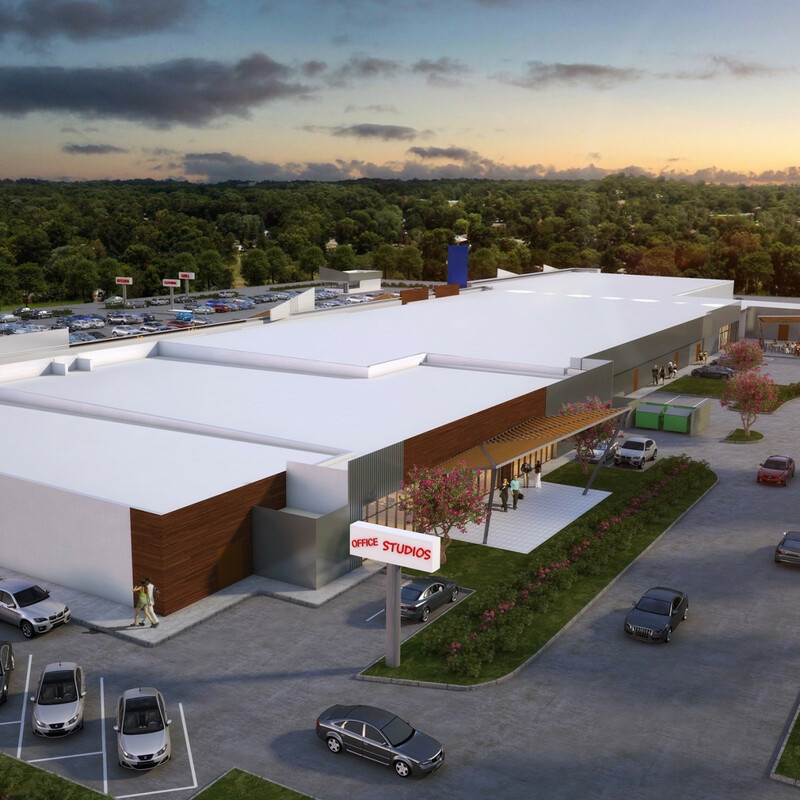 The Spring Branch location looks similarly promising. 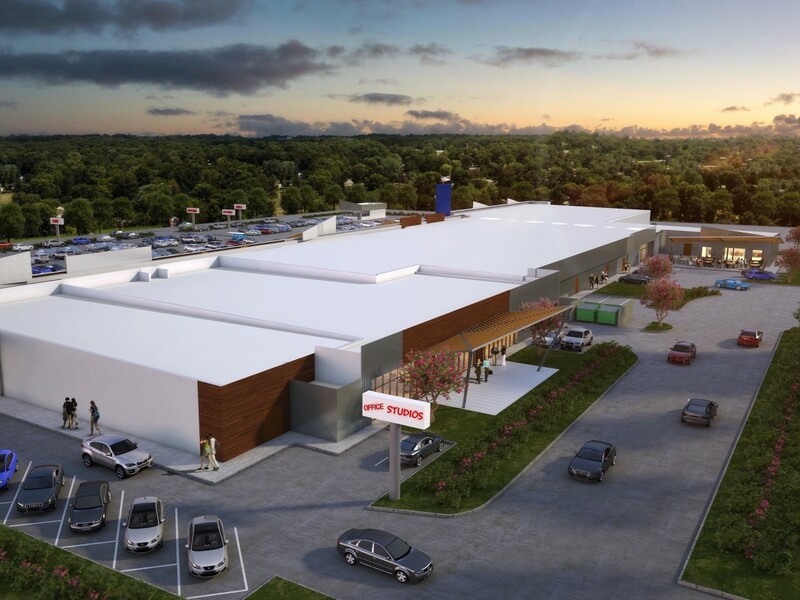 Braun has plans to give the shopping center at 8141 Long Point a comprehensive renovation that should be complete by the end of the year. Slowpokes will occupy a space at the rear of the complex with a patio that faces into the adjacent neighborhood. 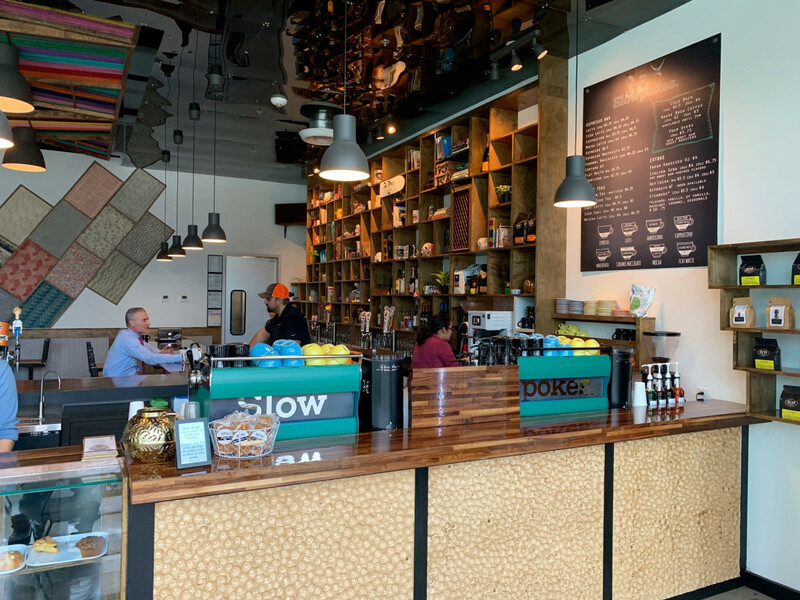 So far, the cafe has been successful by identifying underserved neighborhoods. 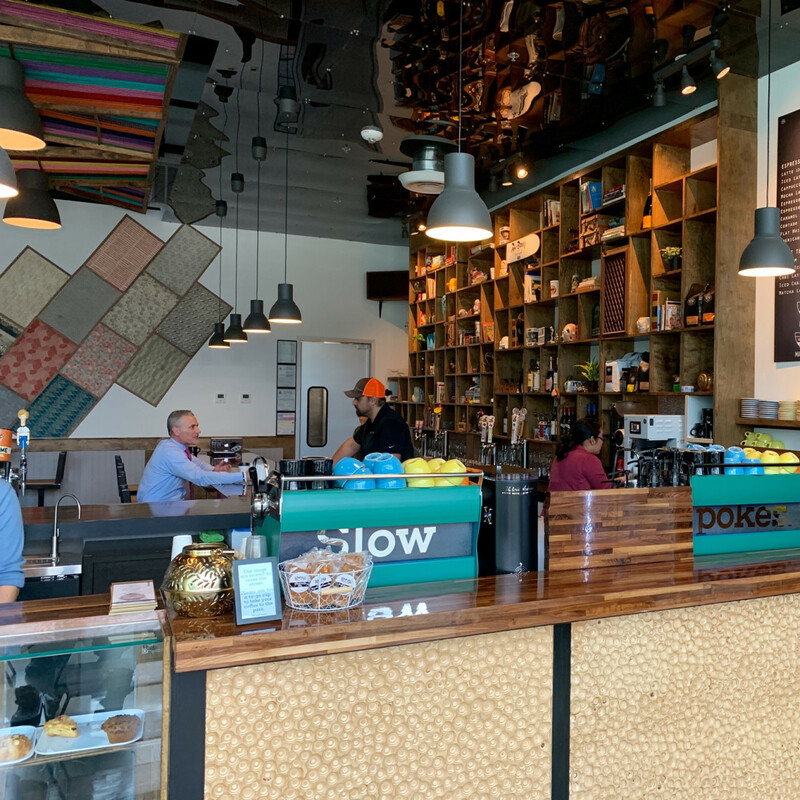 The new Kirby Grove location gives Slowpokes a high-profile location inside the loop, and Spring Branch will grow the brand further.